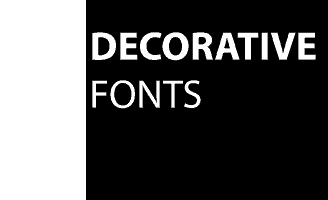 Decorative Fonts – a collective name for the font used for decorative purposes. As a rule, such fonts used for headings or accidents (small patterned form). However, and more text can be dialed when they wish, they will also look beautiful and harmonious. Download Cyrillic decorative fonts on this page will not be difficult. 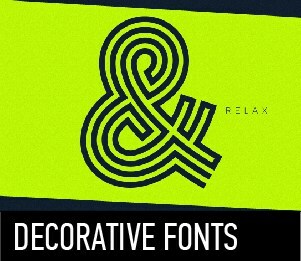 Decorative fonts is very easy to know if the idea of reading a book, typed in this font makes you dizzy, then you are absolutely sure you can see in front of a decorative font. However, the decorative fonts in their own great: some of them are funny, some scary, funny and ridiculous. It is through these fonts can express your every whim. Although, sometimes, they seem more attractive than the traditional, they have a very limited range of use.